21 x 2 minute sub exposures on December 27, 2008 between 22:37 and 23:24UT from Beilen, the Netherlands using my 20cm F/2.75 ASA Astrograph and modified Canon 40D at 1600 ISO. 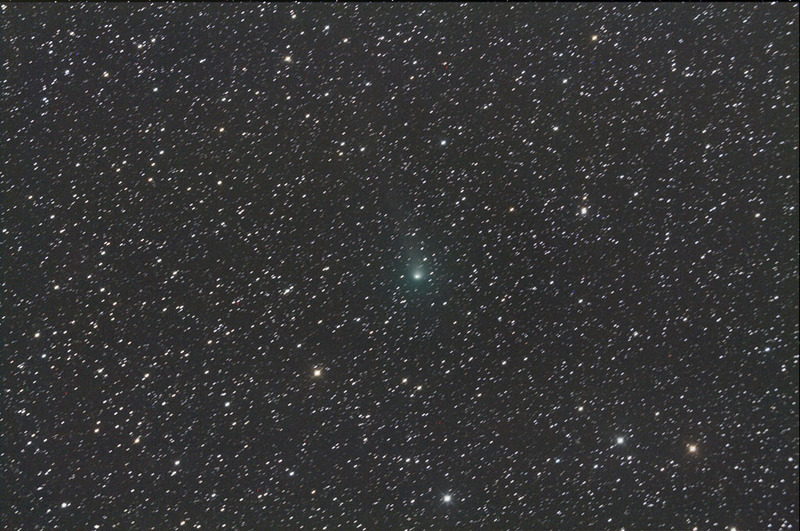 The sub exposures were unguided, using the 10Micron GM2000-QCI mount in "Follow Object" mode. SQM reading was around 20.3 mag./sq.arcsec. 27 x 2 minute sub exposures on December 20, 2008 between 16:48 and 17:55UT from Beilen, the Netherlands using my 20cm F/2.75 ASA Astrograph and modified Canon 40D at 1600 ISO. 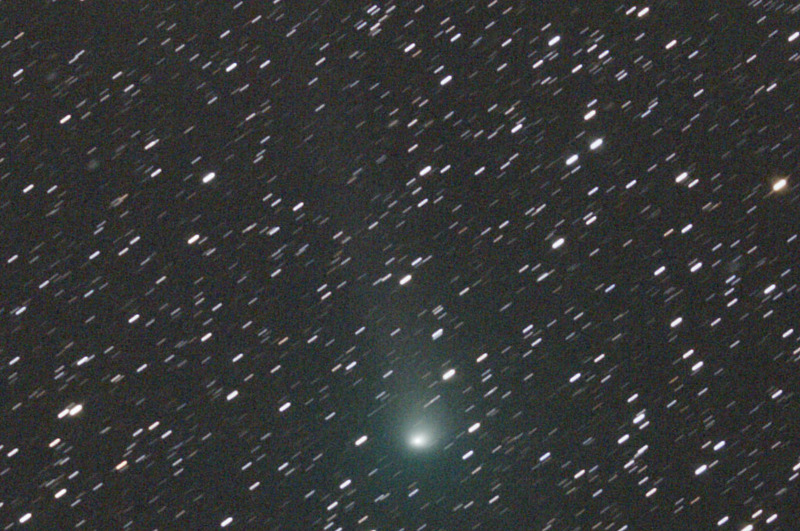 The sub exposures were unguided, using the 10Micron GM2000-QCI mount in "Follow Object" mode. SQM reading was around 20 mag./sq.arcsec. I had to throw 4 of the 31 exposures out due to airplanes passing right over the comet... The bright star is UZ Lyn. The night of 11-12 July 2008 I made some images of (C/2006 OF2) Broughton, although the nights are still grey here at almost 53 degrees north. 10 x 3 minute sub exposures between 23:41 UT (July 11 2008) and 0:13 UT from Beilen, the Netherlands using my 20cm F/2.75 ASA Astrograph and modified Canon 40D at 800 ISO. 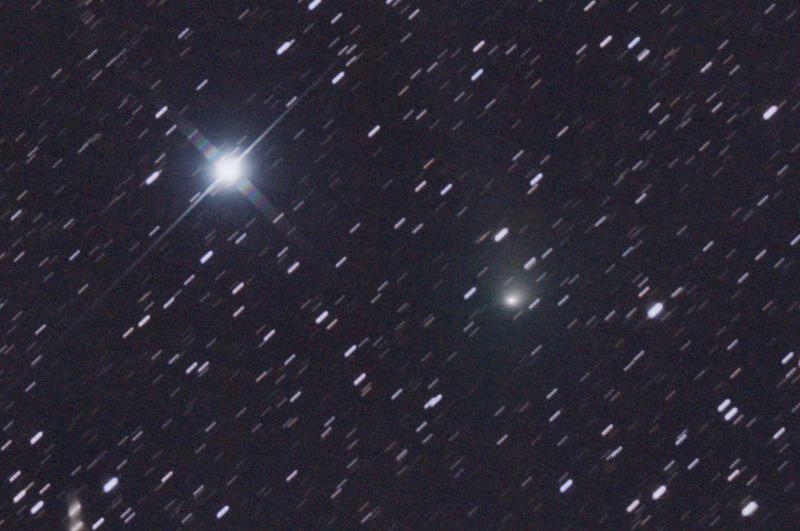 It is a full size crop from the image which included Messier 34. 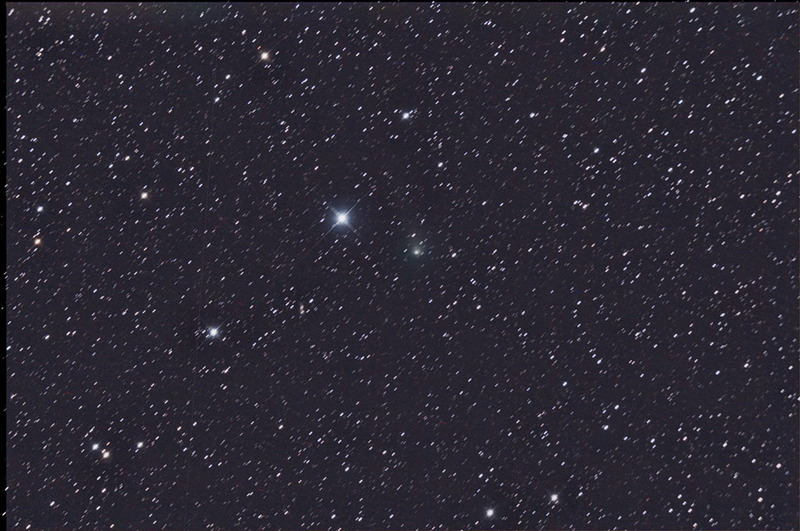 The smudge to the right (south) of the comet is galaxy PGC 10079, magnitude 15.2. 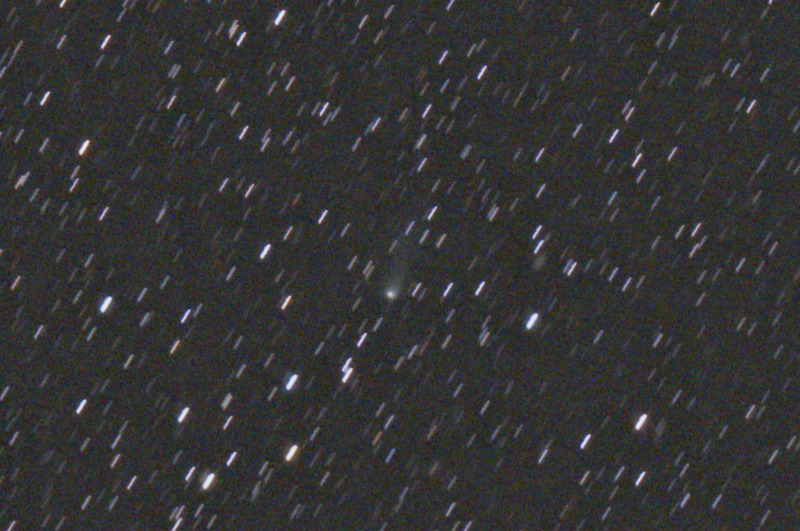 The sub exposures were unguided, using the 10Micron GM2000-QCI mount in "Follow Object" mode.